Thinking About Adding External Storage to Your Sonic? Dooh! 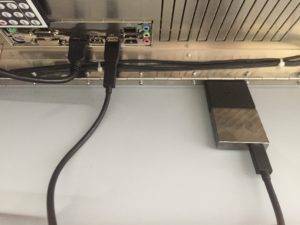 Let me pass along a minor detail you will want to take a closer look at should you be considering adding an external SSD or an oldie-moldy “spinning” disk drive to your Sonic, via USB. 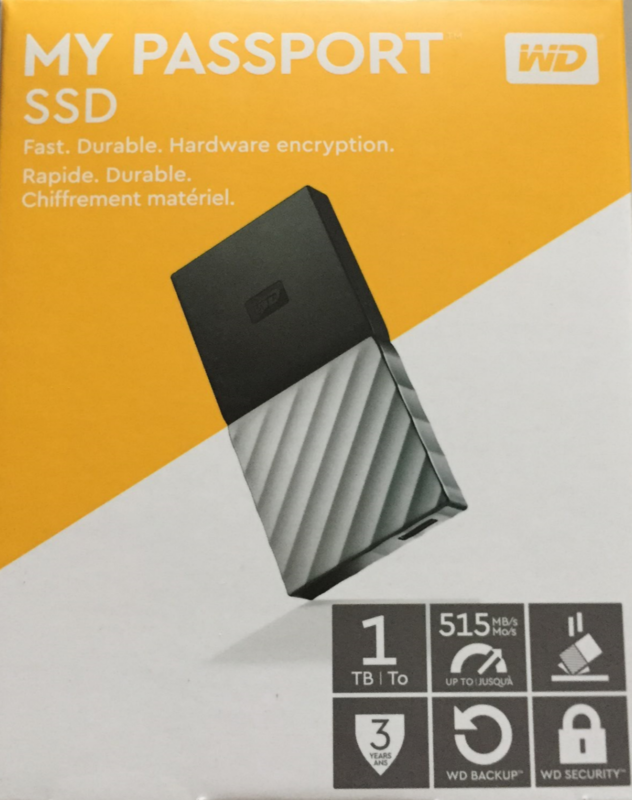 In support of our “VST Journey“, we are adding an external SSD to our configuration. Actually, we did today. Works great except for one minor detail. We went with a Western Digital 1 TB external SSD drive. Not going to tell you this is the drive that you do or don’t need. Just happens to be the one we went with. 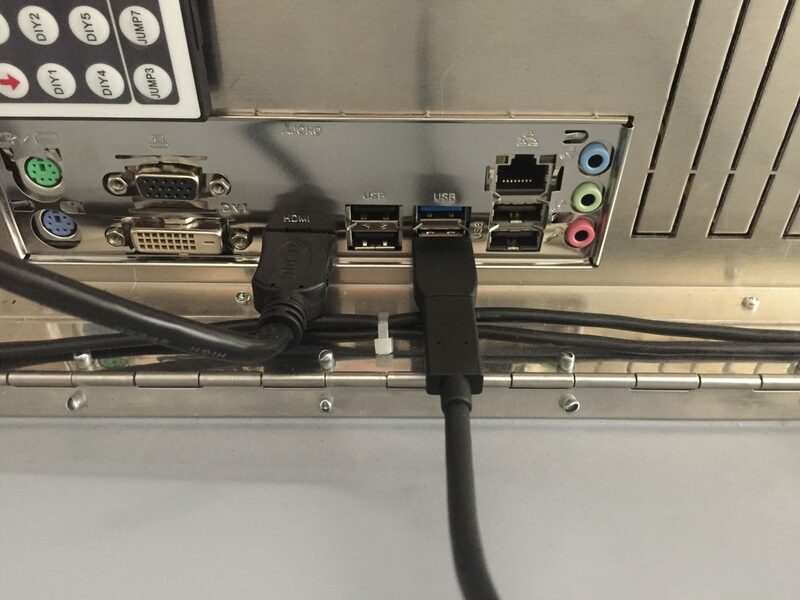 Once you plug into the “C” to “A” adapter and then into the USB3 connection on the inside of the organ well, you won’t be closing the back of the organ… DUH! Never thought about that. For now, we have the drive sitting on the inside of the back of the Sonic. Looks something like this. That light grey background is the back side of the back of the Sonic when it’s opened up. 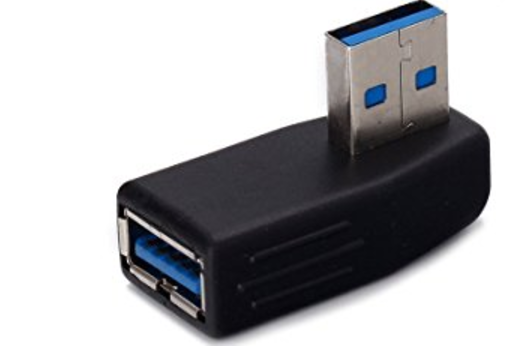 We did a quick search for a “USB 90 degree adapter” and it looks like this might help?? We will let you know how it works out and if we can close the back of the Sonic. 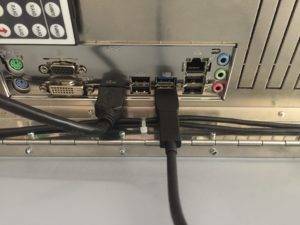 Assuming that works, we are thinking we will simply put a piece of Velcro on the SSD drive and attach it inside the organ similar to the “magical remote control“. 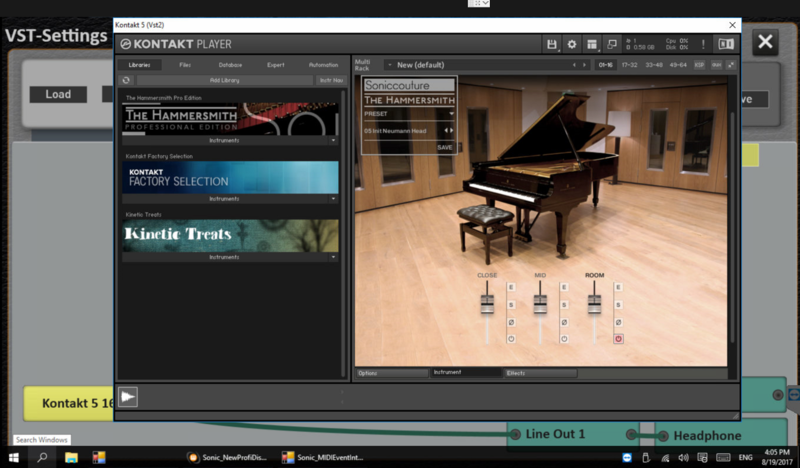 Now that we have plenty of storage on our Sonic, let me leave you with a picture of the Hammersmith Piano loaded, as a VST, on our Sonic… Wait, you didn’t take a listen to our Hammersmith demo? Check out a little tune we put up on our sister site, “IMMusic” done on the Hammersmith. What’s The Most Popular Finish?